Attending the annual BC Distilled festival is like speed-dating with spirits. Held at the Croatian Cultural Centre in East Vancouver, it’s a boozy affair: more than 34 distilleries were on hand (last year there were just 27) to rep our province, from seaside town Shirley on the southern edge of Vancouver Island to the mountain community of Revelstoke, home to one of our province’s newest spirit-centric ventures. With more than 152 spirits to sample (here’s the exhaustive list), you have to spend your time wisely when mulling the qualities and characteristics of one amaro (too sweet? too bitter?) or vodka (do I go with the chili, espresso or blueberry?) versus another. Even within a category, the variation is dizzying. Do you stick to a buttoned-up London Dry gin, experiment with barrel-aged, or go for the gender-fluid pink gin? As for those endearing oddballs—absinthe, aqvavit, krupnik and schnapps—throw caution to the wind and give them a fighting chance. Here’s the lowdown on six B.C. 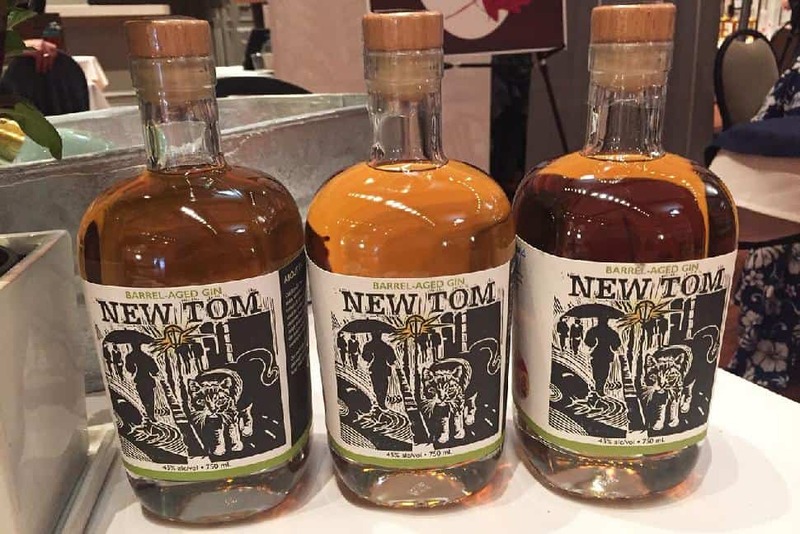 craft spirits (and liqueurs) I sampled at the fourth-annual fest—and tips on how to tame them. Janet GyenesThese days, it seems like it’s not enough for the clear juniper spirit to satisfy gin drinkers. Been there, done that. Now, a handful of B.C. distillers are experimenting by letting their gin get a little dark and dirty—or woody, if you will. Master distillers like Ken Winchester at de Vine Vineyards are aging gin in oak barrels (typically once-used bourbon barrels from down south), angling for a spicier, less juniper-forward spirit. Some might even say that barrel-aged gin is elbowing its way into whisky-and bourbon-lover territory. But before you start blaming millennials or Trump on this bigly break from tradition, heed Winchester’s history lesson: aging gin ain’t new. In fact, it “goes back 150 years ago to Old Tom gin. It was stored in barrels,” he says. His New Tom gin is a modern take that starts with de Vine’s London dry-style Vin Gin, which is made from grape spirits, just like Old Tom gin was back in the day. It only “rests” for eight to 12 weeks in “very new bourbon barrels,” says Winchester. Along with those spicy notes, oak adds a little complexity that comes from maturing. Who could argue with that? How to drink it: “Personally, I like it neat or on the rocks,” says de Vine master distiller Ken Winchester. He also likes mixing in a classic Tom Collins cocktail, which pre-Prohibition, was named for Old Tom gin. Janet GyenesAkvavit is a bit of a wild child here on the West Coast. The savoury, spicy spirit is an acquired taste. But a handful of B.C. distilleries are making this ancient spirit that traditionally hails from Scandinavian nations, where it has been produced since the 1600s. 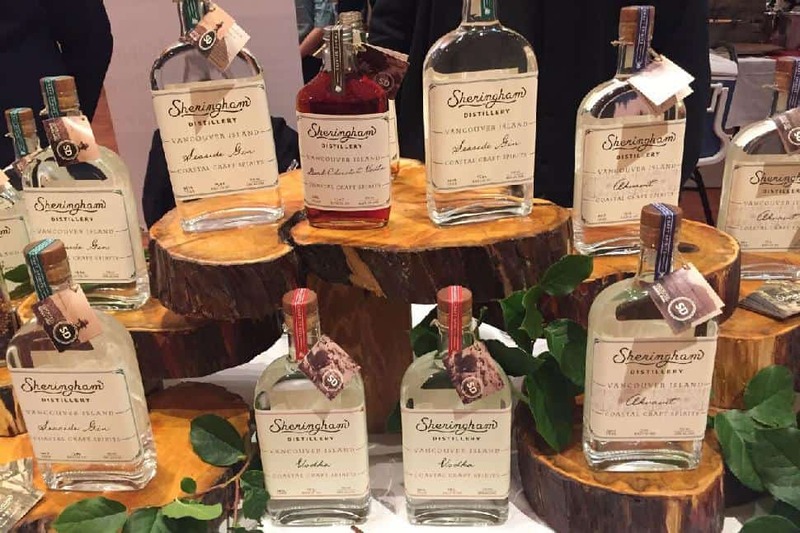 Sheringham Distillery, located in Shirley on the southern end of Vancouver Island, brings a splash of “merroir” to its akvavit, adding locally harvested winged kelp to the classic flavour profile of dill and caraway. Never sipped it? Think of akvavit as a cousin to gin, minus the juniper, but with more savoury notes in addition to citrus. How to drink it: Distiller Jason MacIsaac says to keep the akvavit in the freezer and sip it neat. Or mix it in cocktails in the same way as you’d use a gin. B.C. ingredients: Organic white wheat and malted barley, and botanicals from land and ocean, including sustainable, hand-harvested winged kelp. Janet GyenesA literary analogy comes to mind when you listen to Tyler Dyck telling the saga of how his family had to plant and replant fields of grain corn in the Coldstream Valley year after year, thanks to devastating losses brought on by bad weather. Think of his story as The Corn of Wrath. Dyck, the CEO of Okanagan Spirits Craft Distillery, explains his family’s dogged dedication to craft distilling, using top-notch local ingredients. The spirits “should grow up like we did,” says Dyck. The distillery, after all, is a family affair. But planting and harvesting are only the first few chapters of this story. Then comes milling, fermentation, distillation and the all-important aging process, where the BRBN sits in American oak barrels (toasted honeycomb ones to be precise) for a minimum of three years. 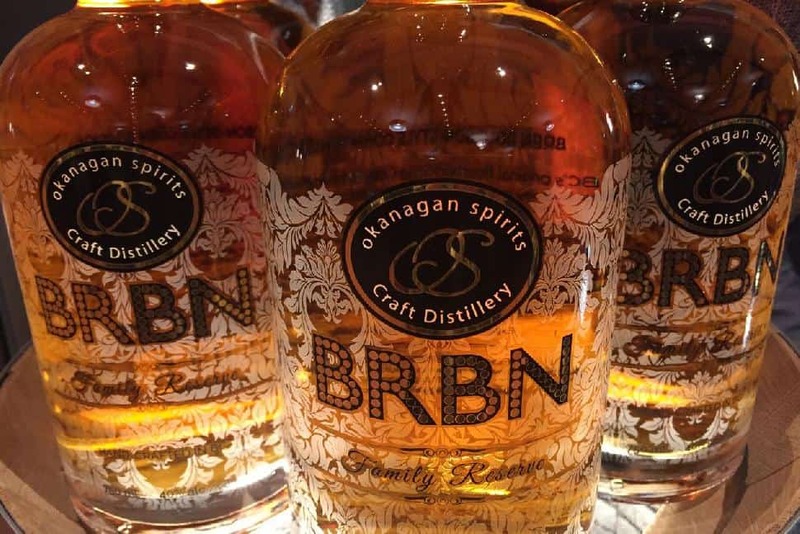 BRBN corn whisky is composed of 54 per cent corn and 46 per cent barley, and has a nice balance of caramel and spice. Who needs American bourbon when West Coast corn whisky tastes this good? How to drink it: “We really say it’s meant to be drunk neat,” says Tyler Dyck, CEO of Okanagan Spirits Craft Distillery. Janet GyenesI’d already sipped my share of spirits by the time I made it to Monashee Spirits Craft Distillery. Which wasn’t a bad thing. You don’t want to be uptight when sampling products with names such as Big Mountain Creamer and Vulcan’s Fire, and having a spirited (and expletive-laced) conversation with Josh McLafferty, the brains (and burly beard) behind the distillery’s operations. Based in Revelstoke, the Monashee Spirits only opened three days prior, says McLafferty. The former deep-sea diver and underwater welder explains that he turned to distilling as a Plan B after getting injured. Landlubber life seems to agree with McLafferty. He’s serious about making deeply local, grain-to-glass spirits. “Everything certified organic across the board,” he says. That vodka-based Big Mountain Creamer? 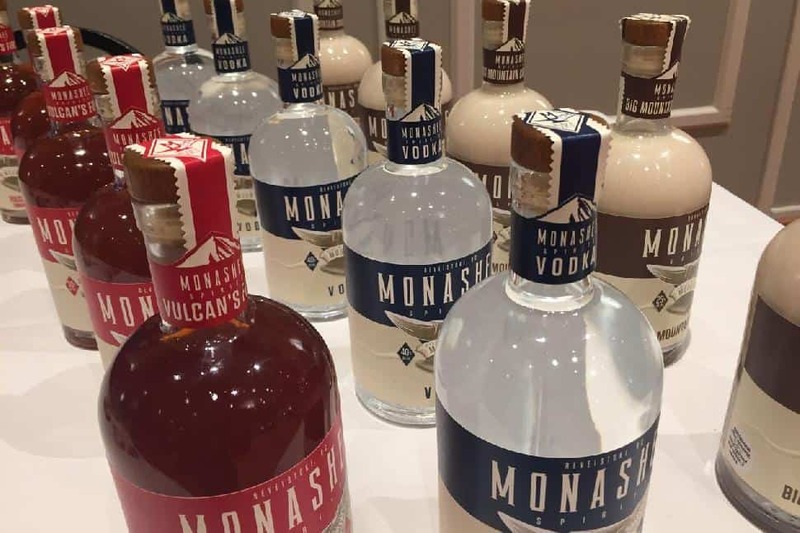 Sure, it’s a take on that old Irish standby, but Monashee Spirits’ version is made with its own vodka, along with organic milk, locally roasted coffee, vanilla and almonds. And damn, it’s delicious, but not too sweet. Vulcan Fire, also made with the vodka, is a spicy cinnamon liqueur crafted with a balanced blend of Ambrosia apples, maple syrup, honey and red Thai chilies. Imagine warming up by drinking either of these after a day on the slopes. Nah. Forget about après. You wanna drink this stuff right now. How to drink it: Monashee Spirits Craft Distillery’s Josh McLafferty suggests drinking Vulcan’s Fire with apple cider to make a hot toddy. Or mix it with Sons of Vancouver amaretto. The Big Mountain Creamer is ideal on ice, or pour a generous glug in your coffee. 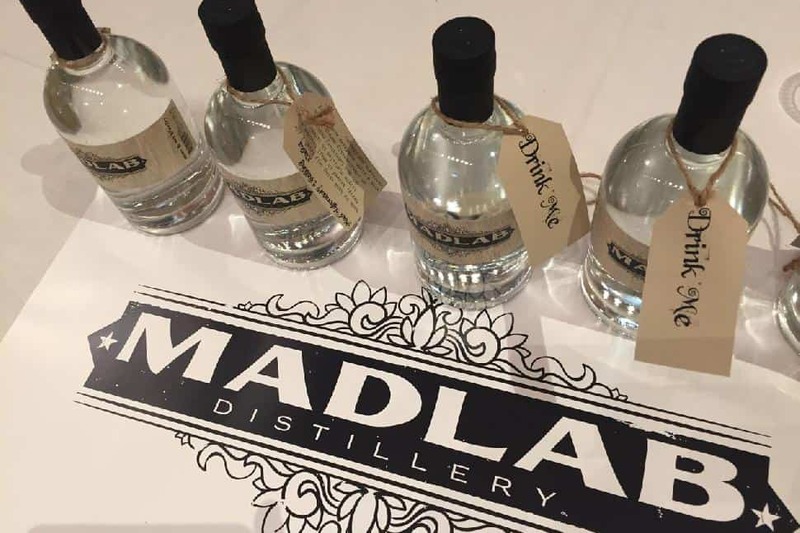 Janet GyenesThe BC Distilled event is about to end, so on advice of another spirit-sipper, I make a mad dash to Mad Laboratory Distilling (aka MadLab), where Scott Thompson splashes some gin in my glass. “People can’t guess our two secret ingredients,” says the owner and distiller, a hint of a challenge on his breath. What woman doesn’t like a side of trivia to end a couple hours of speed-sipping while the distillers are packaging away their wares? I’m game. Swirling my glass, I take a deep sniff. “Dill,” I deadpan. All this sampling, apparently, has sharpened my senses. Because I’m right. And I’ve blown Thompson’s mind a little, since I’m the only person here who has guessed that correctly. But I’m one-for-two in this guessing game: bay leaf is the other ingredient I couldn’t quite put my finger on. Although I haven’t visited, rumour has it that the new Vancouver distillery on the edge of the Fraser River is so small, it gives new meaning to the word micro. But size doesn’t matter: It’s all about the technique. “Everything is painstakingly manual,” says Thompson, describing his methods, which go way over my booze-addled brain. Here’s what I tease out: Thompson’s slow and traditional, which makes for a smooth-sipping vodka, with a “finish of light chocolate and orange.” I barely get a taste before it’s time to go. But this nightcap-worthy spirit is a great way to end a superb afternoon of sampling at BC Distilled. How to drink it: This is great on its own, in a vodka martini, or on the rocks with a twist of lemon or lime. You don't want to mess too much with the flavour.